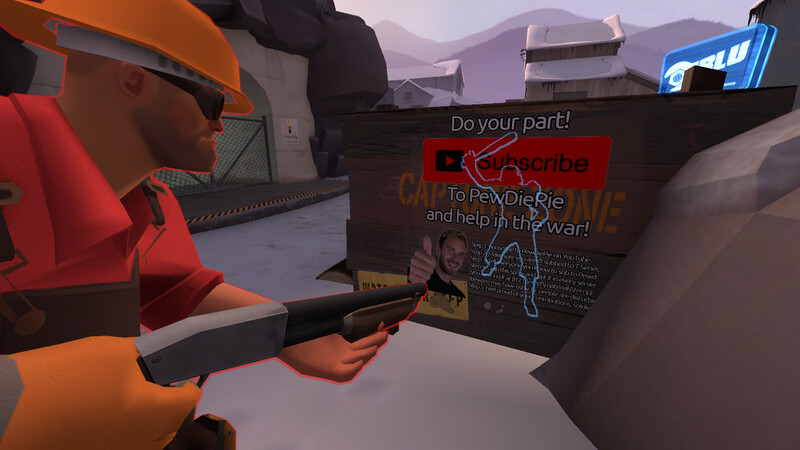 Have a plan to make everyone you meet subscribe to PewDiePie. 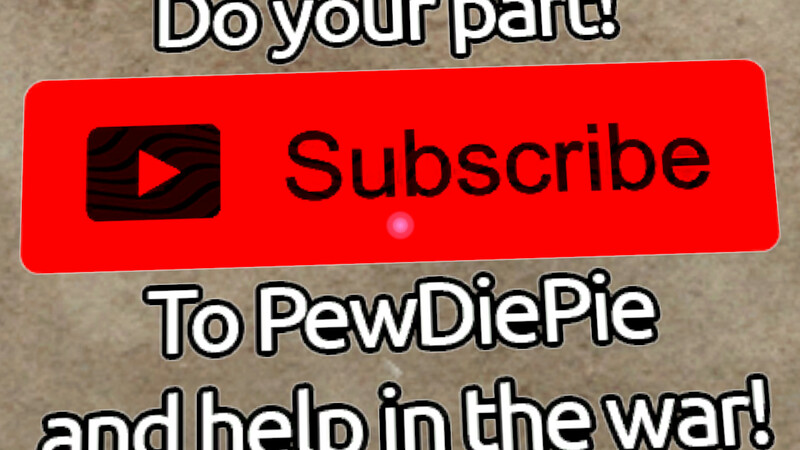 Are you a fellow 9 year old? Do you want to fight both a war about giant metal circles and one about small red buttons at the same time? 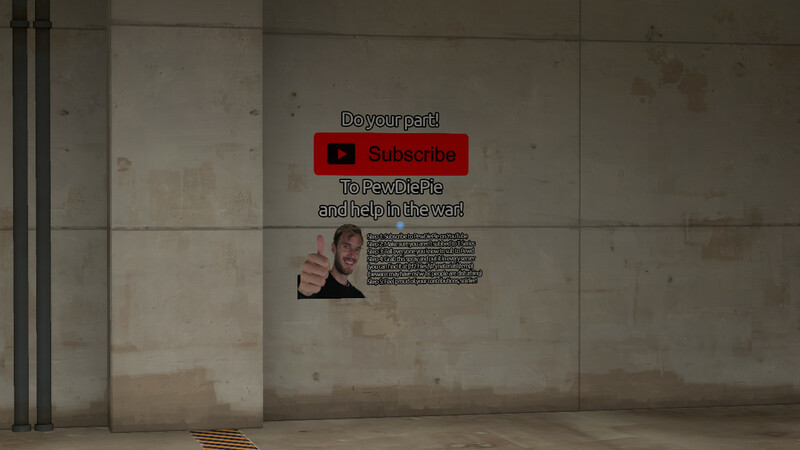 Then get this spray, and put it in every server you go to! 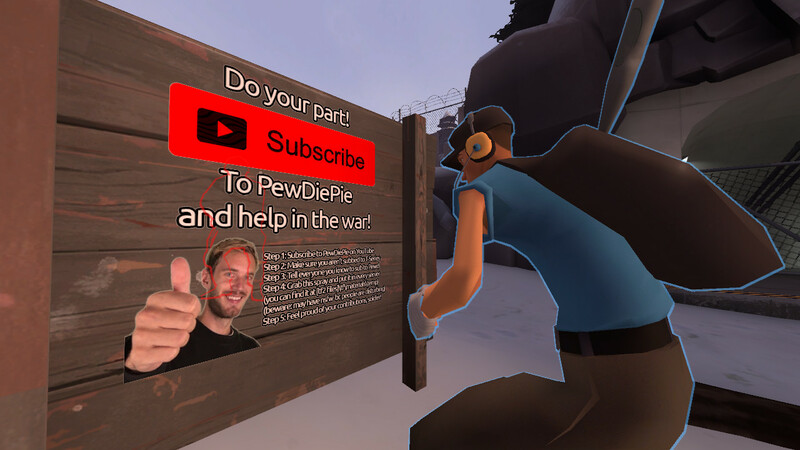 This simple spray will tell anyone who sees it to subscribe to PewDiePie, and give them instructions on how they can help us win the battle! 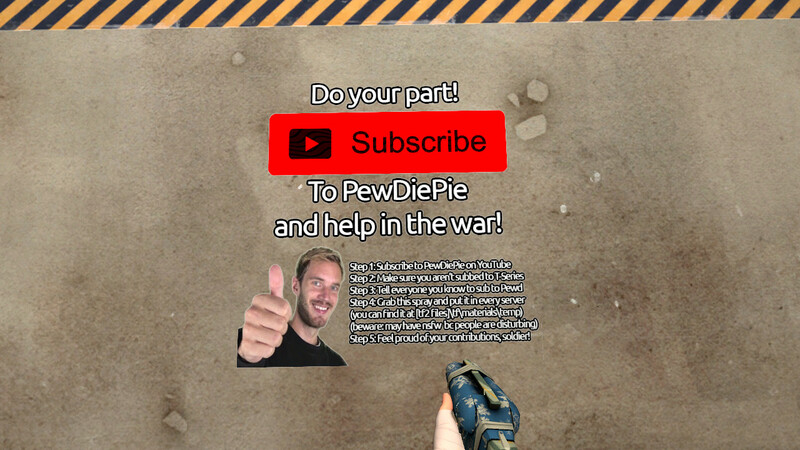 Get the Sub to Pewd spray today, and help us concher T-Series! 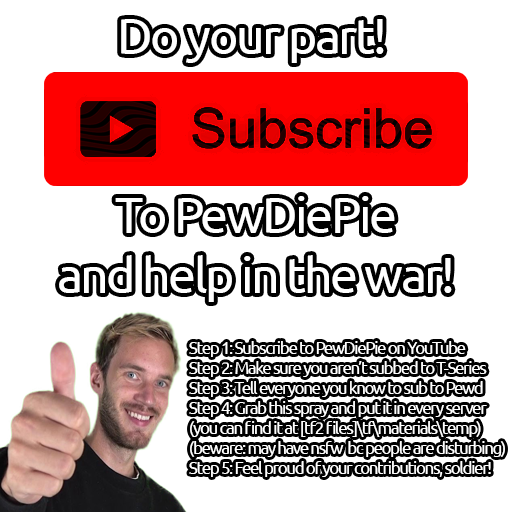 sub2pewd.zip 3mo The full package. Has some extra stuff. 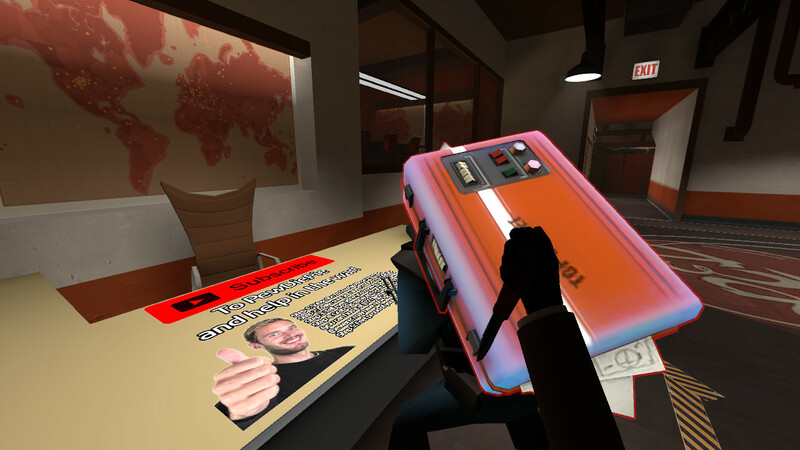 Kinda like a collectors edition, but free and less cool. sub2pewdbasic.zip 3mo Much smaller file, but no extra goodies. Good for data limits or slow connections. 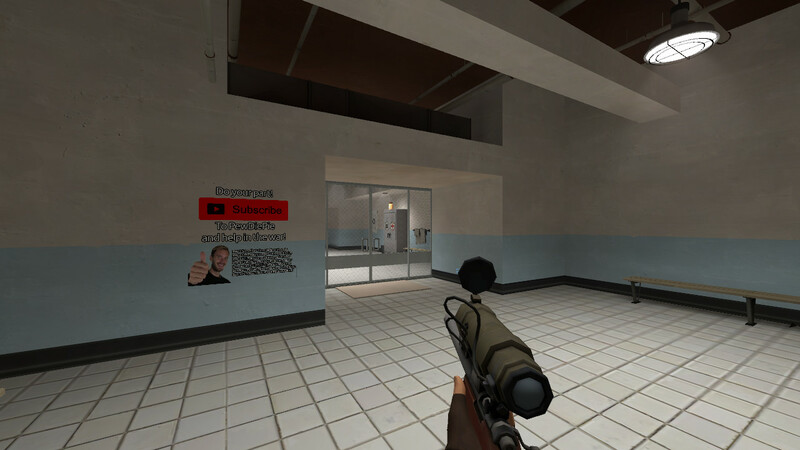 This spray is under the Attribution-ShareAlike 4.0 International license. 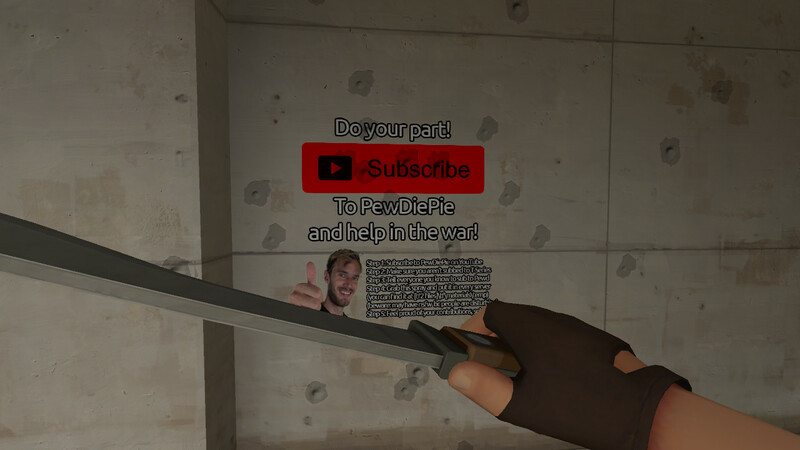 You may share and/or modify the spray, as long as you credit me (CommenterOfComments) as the creator, and share under the same license. 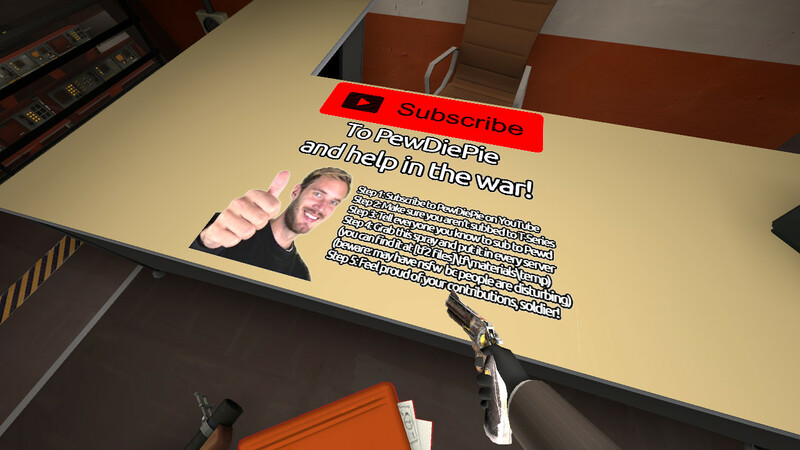 If you use it as a point of focus in a YouTube video, send me a link so I can watch too!